Over the past few years, CRISPR has been making headlines. Experts predict that this gene editing technology will transform our planet, revolutionizing the societies we live in and the organisms we live alongside. Compared to other tools used for genetic engineering, CRISPR (also known by its more technical name, CRISPR-Cas9) is precise, cheap, easy to use, and remarkably powerful. Discovered in the early 1990s, and first used in biochemical experiments seven years later, CRISPR has rapidly become the most popular gene editing tool among researchers in fields such as human biology, agriculture, and microbiology. Scientists are still in the earliest stages of figuring out how we can use CRISPR to change the world for the better. Of course, the power to alter DNA - the source code of life itself - brings with it many ethical questions and concerns. With this in mind, here are some of the most exciting uses for this revolutionary technique, and the hurdles that might slow or prevent these technologies from reaching their full potential. Hypertrophic cardiomyopathy (HCM) is a heart condition that affects roughly 1 in every 500 people worldwide. Its symptoms are painful and often deadly. Mutations in a number of dominant genes cause the heart tissues to stiffen, which can lead to chest pain, weakness, and, in severe cases, sudden cardiac arrest. Thanks to recent medical advances, the average life expectancy of someone with HCM is close to that of the general population, but the condition can lead to life-threatening situations if left untreated. But someday, we may be able to use gene editing to cure this disease once and for all. In summer 2017, scientists at the Oregon Health and Science University used CRISPR to delete one of these defective genes in a number of viable human embryos. The results were promising: Of the 54 embryos that were injected with the CRISPR-Cas9 machinery 18 hours after fertilization, 36 did not show any mutations in the gene (practically no chance of developing the disease) and 13 were partially free of mutations (with a 50 percent chance of inheriting HCM). Off-target genetic mutations and mosaics (only some cells adopt the changes, meaning that a fraction of people would inherit the mutation) were only present in 13 of the 54 embryos. To further reduce the chance that only some cells would be changed, the researchers carried out another experiment in which they corrected the same gene in embryos directly at the time of fertilization. They found that only one was a mosaic - an impressive result, making the study substantially more efficient than similar studies (a 2015 clinical trial in China was not able to eliminate the possibility of mosaics). “By using this technique, it’s possible to reduce the burden of this heritable disease on the family and eventually the human population,” Shoukhrat Mitalipov, lead author of the study and a researcher at the Oregon Health and Science University, said in a press release. Catching the mutation at in the earliest stages of embryonic development would either reduce or eliminate the need for treatment later in a patient’s life. While some stem-cell scientists questioned if these dozens of mutations were actually fixed, the research helped scientists better understand CRISPR’s efficacy. Moreover, one of the co-authors of the HCM study has already expressed interest in applying the same technique to specific gene mutations (BRCA1 and 2) that increase the risk of breast cancer. That said, scientists know that changing the genetic code in human embryos could have unintended consequences. What if CRISPR makes changes in the wrong place and unintentionally alters or removes healthy genes? How could that affect the patient? In some parts of the world, such as China, scientists are free to experiment on human embryos largely unfettered. But this is not the case in the United States, Canada, or the United Kingdom. In the U.S., the Food and Drug Administration (FDA) currently does not consider using public funding for studies that alter genes that can be inherited (the embryos in the Oregon researchers’ study were not destined for implantation and the study was funded privately). In Canada, editing genes that can be passed down to future generations is a criminal offense with a maximum penalty of ten years in jail. Meanwhile, in the U.K., the Human Fertilization and Embryology Authority gave a team of scientists in London the license to edit genes in human embryos in 2016. Scientists in the U.K. are hoping this will establish a precedent, and keep the door open for future applications. Though treatments for HIV have turned the infection from a virulent killer to a livable health condition, scientists still haven’t found a cure. That could change with CRISPR. In 2017, a team of Chinese researchers successfully increased resistance to HIV in mice by replicating a mutation of a gene that effectively prevents the virus from entering cells. For now, scientists are only conducting these experiments in animals, but there’s reason to think the same methods could work in humans. The mutation that encourages HIV resistance naturally occurs in a small percentage of people. By using CRISPR to introduce the mutation to human stem cells that lack it, researchers could substantially bolster HIV resistance in humans in the future. Another gene-editing trial in China is due to begin in July 2018 and will attempt to use CRISPR to disrupt the genes of the human papillomavirus (HPV) - a virus that has been shown to cause cervical cancer tumor growth - effectively destroying it. In a slightly different approach, scientists in North Carolina used CRISPR to engineer bacteriophages, a type of virus that infects and duplicates itself inside a bacterium, to kill harmful bacteria. Since the 1920s, phages have been used in clinical trials to treat bacterial infections. But harvesting them from nature proved difficult, a lack of understanding at the time made results unpredictable, and the growing antibiotics market made their use unpopular. Even today, some researchers fear that flooding the body with a large volume of phages may trigger immune reactions or cause antibiotic-resistant bacteria to also become resistant to phages that would otherwise eliminate them. Still, while human trials have yet to begin, researchers are optimistic about using CRISPR to engineer phages, since they are a proven, safe method to treat bacterial infections. In fact, in a 2017 trial, researchers managed to save the lives of mice infected with antibiotic-resistant infections using CRISPR-engineered bacteriophages. In February 2017, Harvard geneticist George Church made a surprising announcement before the annual meeting of the American Association for the Advancement of Science. He claimed his team was just two years away from developing an embryo for an elephant-mammoth hybrid. Church hopes that bringing back the woolly mammoth could keep global warming in check. “[Mammoths] keep the tundra from thawing by punching through snow and allowing cold air to come in,” Church told the New Scientist. Church and his team are hoping to use CRISPR to combine genetic material from the Asian elephant (an endangered species that could potentially be saved) and the woolly mammoth. Samples of the latter were harvested from DNA recovered from frozen hairballs found in Siberia. By adding the mammoth’s genome to that of the Asian elephant, the resulting organism would have characteristics common to the woolly mammoth, such as long fur, which would serve as insulation in cold climates. The end goal is to implant this hybrid embryo into an elephant and bring it to full term, according to the New Scientist. The work is promising, but many experts think that Church’s timeline is a bit too optimistic. Even if researchers had a functional hybrid embryo, growing it inside an artificial womb as Church suggests will be yet another hurdle to overcome. Granted, Church’s lab is already capable of growing a mouse embryo inside an artificial womb for half of its gestation period, about 10 days. But that doesn’t guarantee that we’ll witness the birth of a woolly mammoth hybrid in the next couple of years. CRISPR gene editing has proven to be promising in the field of agricultural research. Scientists from Cold Spring Harbor Laboratory in New York used the tool to increase the yield of tomato plants. The lab developed a method to edit the genes that determine tomato size, branching architecture and, ultimately, shape of the plant for a greater harvest. High-yield crops to feed a hungry world are just the beginning - scientists hope CRISPR could also help shed the stigma surrounding genetically modified organisms (GMOs). In 2016, agriculture technology company DuPont Pioneer announced a new variety of CRISPR-edited corn that, because of how researchers altered its genes, is technically not a GMO. The distinction between GMOs and gene-edited crops is fairly simple. Traditional GMOs are made by inserting foreign DNA sequences into a crop’s genome, transmitting traits or properties to future organisms. Gene editing is more precise than that: it makes precise alterations to genes in specific locations of the native genome, often knocking out certain genes or changing their location, all without introducing foreign DNA. While GMOs have been contentious among consumers, companies like DuPont Pioneer are hoping that gene-edited foods will be better received. In the decades that GMOs have been available in the American market, scientists have detected no health risks, though even the biggest proponents of GMOs admit that scientists still don’t know all of the long-term risks. The same goes for crops edited by CRISPR. Of course, scientists will continue to test and evaluate these crops to ensure there are no unexpected side effects, but this early work is remarkably promising. Eventually, CRISPR-edited crops will likely flood global markets. DuPont Pioneer hopes to bring its “waxy” gene-edited corn to market in the U.S. by 2020. A gene-edited mushroom has already bypassed U.S. Department of Agriculture regulation, as it doesn’t contain foreign DNA from viruses or bacteria, becoming the first CRISPR-edited organism to be green-lit. Sweden has already declared it will categorize and regulate CRISPR-edited crops differently than GMOs, but the European Commission has yet to choose its stance. Gene-editing techniques like CRISPR could directly combat infectious diseases, but some researchers have decided to slow the spread of disease by eliminating its means of transmission. Scientists at the University of California, Riverside developed a kind of mosquito that is uniquely susceptible to changes made with CRISPR, giving scientists unprecedented control over the traits that the organism passes to its offspring. The result: yellow, three-eyed, wingless mosquitoes, created by altering genes responsible for eye, wing, and cuticle development. By disrupting target genes in multiple locations of the mosquito’s genes, the team is testing a “gene drive” system to spread these inhibiting properties. Gene drives are a way to essentially ensure that a genetic trait will be inherited. By impairing the mosquito’s flight and vision, the Riverside team is hoping to greatly reduce its ability to spread dangerous infectious diseases among humans, such as dengue and yellow fever. Other researchers are getting rid of mosquito populations by interfering with how they reproduce. At the Imperial College London in 2016, a team of researchers used CRISPR to target female reproduction of the type of mosquito that carries malaria through a gene drive system that influenced female-sterility traits into being more likely to be inherited. But interfering with mosquito populations could have unforeseen consequences. Eliminating a species, even one that doesn’t appear to have much ecological value, could upset the careful balance of ecosystems. That could have disastrous consequences, such as disrupting the food web or increasing the risk that diseases like malaria could be spread by different species entirely. 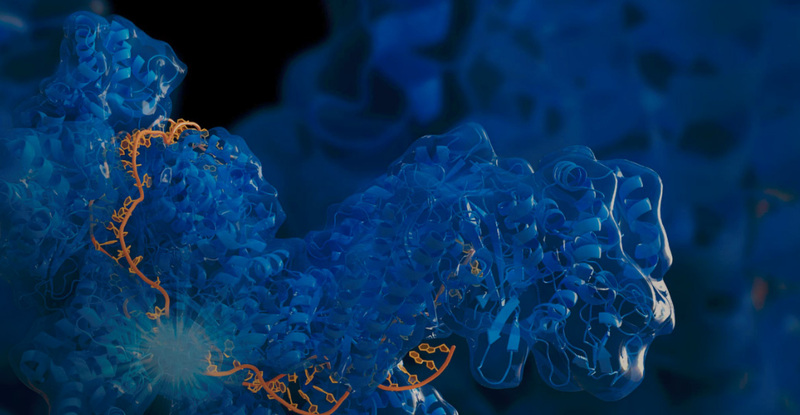 Current scientific advancements show that CRISPR is not only an extremely versatile technology, it’s proving to be precise and increasingly safe to use. But a lot of progress still has to be made; we are only beginning to see the full potential of genome-editing tools like CRISPR-Cas9. Technological and ethical hurdles still stand between us and a future in which we feed the planet with engineered food, eliminate genetic disorders, or bring extinct animal species back to life. But we are well on our way.